HoopNut started on April 18, 2011, but I started writing about basketball much earlier than that. I've always been a fan of hoops, and I've always loved writing (and writing with good grammar! ), so eventually the two merged to form Hoopnut! I first learned the sport in school (the blue school friends). Nobody from my family was really into basketball, so no one "taught" me how to play except my schoolmates and busmates. I'm not exactly an early-starter though, since I really regularly played only in Grade 5. Most of the other boys back then were already playing as early as Grade 2 or 1! Perhaps the culprit was that our Grade School had a helluva lot of basketball courts. Still, it was commonplace for one to find 3, 4 even 5 games simultaneously being played on each court! Insane, yes. Can't imagine it? It's utter chaos. Think a palengke (market) full of panic-buyers in the Christmas season with basketballs instead of just baskets. I also "honed" my skills (this might give you the impression I'm outstanding at basketball, but the reality is I am, shall we say, "not bad") playing under the scorching sun and on the hot pavement of the streets in our neighborhood, Bgy. Manresa. I remember bringing along my brother and cousins to challenge our kapitbahays (neighbors for the non-Pinoys), the karpinteros (carpenters, craftsmen, masons), and local tambays (literally, people who just "stand by" and practically do nothing) to pick-up games. We usually played half-court ball since there was only one hoop on our street, and the losers would have to treat the winners to a litro of Coke. Despite our opponents usually being older and bigger than we were, my bro/cousins and I won our fair share of pick-ups. High School allowed me opportunities to watch and play with future stars of Philippine basketball. My school's covered courts played host to the likes of Enrico Villanueva, Wesley Gonzales, BJ Manalo, Paolo Bugia and Larry Fonacier, all of whom would eventually play (or at least be drafted) in the Philippine Basketball Association. I was able to experience various victories and defeats in our PE classes, Intramurals and Sportsfests. I remember playing 6-on-6 or 7-on-7 pick-ups almost every afternoon (after classes of course!) in my school clothes. Basketball was also a major factor contributing to the bonds shared in our class. Even now the sport remains a significant common activity within our circle. When I started working, and when I finally had a girlfriend, I found myself having less time for basketball. I was relegated to the sidelines, and only played sparingly during the weekends. But what took the place of actual playing was more intense writing. I wrote about the Xavier Golden Stallions, the varsity team of the school where I first worked, and their exploits in the Philippine Athletic Youth Association and Tion Lian league. I got to know future UAAP players Rejan Lee, Woody Co, Gab Banal, Jeric Teng and Jett Manuel. When I moved to the Ateneo, my present professional address, I had some notable amateur players (potential future PBA stars!) 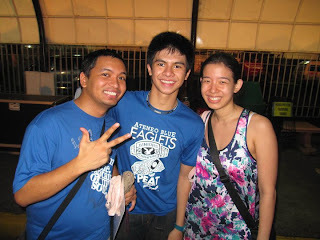 as my students, namely Juami Tiongson, Ael Banal, Luis Sinco, Kiefer Ravena and Von Pessumal among others. 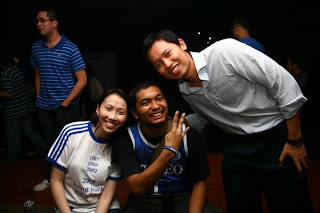 I made regular contributions to the Ateneo website, and was given my own column just last year (coolness!). I realized, however, that if I wanted to write about the broader swathes of basketball and reach a wider audience, I would have to finally "move on" from writing posts on Multiply or notes on FaceBook. It had to evolve, which is why HoopNut now exists. I wanted a venue to share my thoughts and feelings about the NBA (Anyone but Miami please! ), PBA (Go Tropang Texters! ), UAAP (Go Ateneo! ), FIBA-Asia (Go Philippines! ), as well as other leagues/tourneys. As you have probably observed, too, I sometimes include out-of-left-field topics. At present I make it a point to post at least twice each day, though that might not be the case when school re-opens in a few weeks. Right now I'm really excited about the fact that I was able to cover the Ateneo Blue Eaglets and Eagles this past UAAP Season. I'm also happy about being able to follow the various Philippine National Teams (Smart-Gilas, Sinag, and Energen Pilipinas). I'm pumped that even after the local collegiate and international hoops seasons have finished, there's still the NBA and PBA to cover. I hope you guys will continue following my posts about all these. 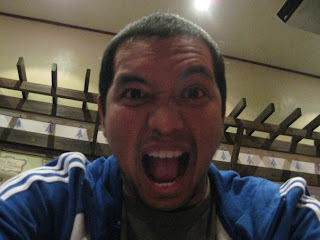 HoopNut was also named as a Finalist for the 2011 Philippine Blog Awards. This was a great honor, and it will only serve to deepen my drive to produce content worthy of your time. All in all, I hope my blog will offer something unique. I want to be a distinct voice in the local sports writing scene, and I'm praying HoopNut will enable me to do just that. So welcome to HoopNut. This blog expresses my love affair with basketball and writing. Through this, I hope you guys will enjoy basketball more, and, perhaps, learn a thing or two about writing and life as well. I learned about the sport of basketball at an early age, maybe around 5 or 6. My dad even registered me at one of those MILO basketball camps where they taught us the basics of dribbling and shooting. He liked watching PBA (Philippine Basketball Association) and I got hooked into watching as well. We would sometimes watch live at the Ultra in Pasig and later on at the Cuneta Astrodome in Pasay. I grew up playing and loving basketball. My favorite team was San Miguel Beer and my favorite player was Samboy "the Skywalker" Lim. 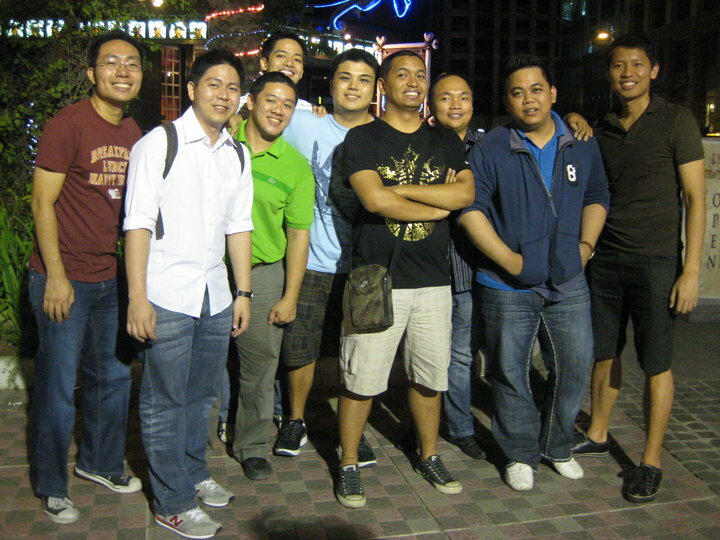 In high school, I met my barkada and friends for life that included Mr. Hoopnut (Enzo Flojo). We literally played ball everyday during breaks and after class; in our normal day clothes too. Class nights were exciting and fun times for us since we would play ball until the wee hours of the morning. The running joke was that we would play nonstop until I get my patented calf muscle cramps, which happened often. At that time, I started gravitating toward the NBA more compared to the PBA. My favorite player was Clyde "the Glide" Drexler. Being based in Toronto, Canada for the last 10 plus years, I am more in touch with the NBA compared to the PBA and UAAP (which I miss a lot). My favorite NBA players of before included: Robert "Big Shot Bob" Horry and Eddie Jones. Now, Dwyane Wade is my favorite player. I am more of a Wade fan than a Heat fan but Im starting to like that fellow named LeBron James. He is that good. When I had the chance to contribute some NBA pieces to Hoop Nut, I jumped at the chance because I love watching basketball and sharing my thoughts and ideas about the game seemed so easy and natural to me. I just hope that the readers enjoy the posts as well. Hopefully someday when Im back in the Philippines, Ill get to write about the PBA and UAAP as well. Here's to more basketball games in our future and to the success of Hoop Nut! Cheers! Rolly with his current idol Marc Pingris of San Mig Coffee and Gilas Pilipinas. I wanted HoopFreak, but apparently it was taken already. I'm not sure if it's about basketball or hula-hoops, but it's been taken so there. HoopNut had a nice ring to it when I first thought of it, though honestly it sounds a little funny (maybe even silly!)now. Q: Will Miami win the NBA title? 2. Are you being paid to write? Not directly, though there are some ads shown on the site. I do get paid to write for other sites like Rappler.com, the PBA website, and Inboundpass.com. When sponsors do come knocking, I charge small fees for sponsored posts. 3. What are your favorite teams? 4. Do you play/watch any other sports? I used to swim a lot back in school. I also play Ultimate Disc (Frisbee). 5. What do you do professionally? 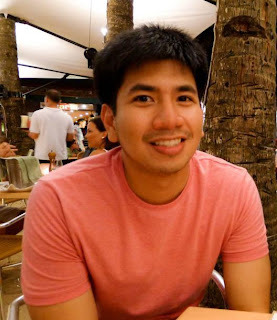 I'm an English teacher at the Ateneo de Manila High School, and a writer. At my day job. I teach English at the Ateneo HS. I'm also a Prefect of Discipline. 6. Do you maintain any other sites? Nope. I no longer update my Multiply site, and does my FaceBook page really count? I write for Asia-Basket.com and NBADimensions.net though. 7. How can we reach you? Proceed to the Contact Me page. Me, my daughter Marty, my lovely wife Loida, and my son Basti. Iranians won the gold. With me is my good friend Joao Pablo of Smart. Men's Championships. You can view the actual Hangout session here. Covering the UAAP games with Anton Roxas. Hosting an event with Denden Lazaro and Alyssa Valdez. Hosting a formal event with Gretchen Ho. Steve Nash's impending retirement. Catch more videos on Hoop Nut's YouTube channel (click the YouTube symbol at the top of the page)!